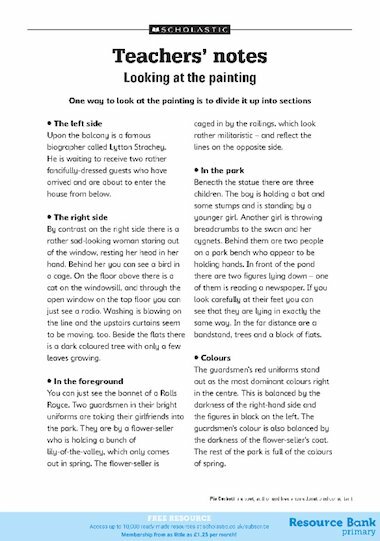 Notes on how to explore the painting Entrance to Hyde Park, 1930 by Mary Adshead. Encourage children to consider the painting by dividing it up into sections. I love this unit and it’s exactly what I’m looking for but PLEASE save my SANITY and let me know where I can find a copy of the picture for the children to explore. I’m a member and I will happily pay for any magazine it’s in but I can’t find it anywhere.